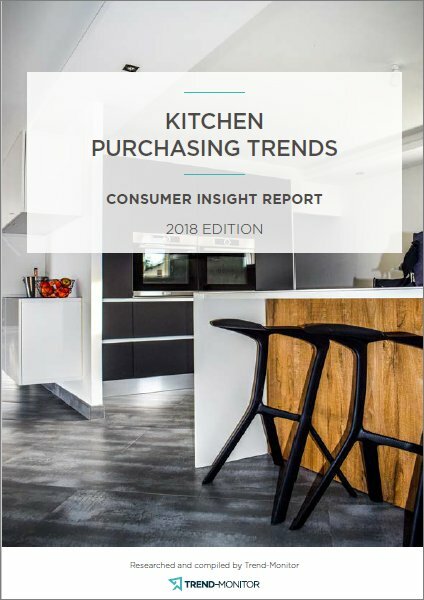 Recent Trend-Monitor research into kitchen purchasing trends highlighted a growing popularity for zoned kitchen lighting over the past two years, indicating that kitchen lighting has become a key trend in kitchen design. 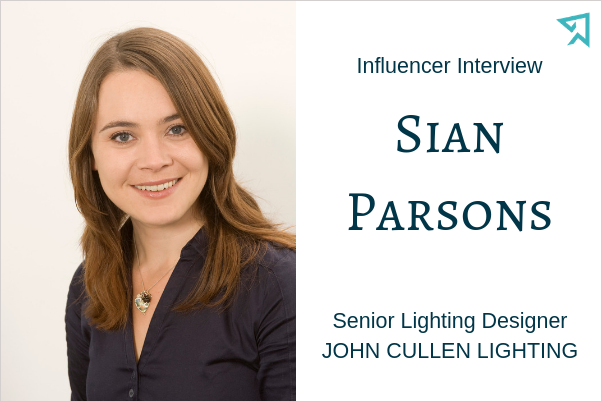 We talked to Sian Parsons, Senior Lighting Designer at John Cullen Lighting, to find out how consumers are increasingly engaging with this trend. TM. According to Trend-Monitor’s research into consumer purchasing trends, kitchen lighting has grown in popularity over the past two years. Why do you think that is? SP. The emergence of LED technology with its miniaturisation of light fittings has helped lighting become much more accessible to the average home. Ceiling-recessed downlights regularly don’t exceed 70mm in diameter and require far less ceiling recess depth than their halogen counterpart, while under-cupboard lights have become smaller and cooler in temperature, making them easier to integrate into wall units. With the huge technological changes in modern LED lighting, the benefits of a well-designed lighting scheme have made their way into the average consumer’s awareness, and the kitchen is an obvious place to start to experience the advantages. TM. How has the trend for open-plan living affected the way in which lighting is used in the kitchen? SP. Open-plan living has definitely led to changes in the way kitchen lighting is designed. In a space used for evening relaxation, it is possible to create a softer light in the kitchen to be left on when that space isn’t being used. Dimming under-cupboard lighting, or illuminating open shelving or glass-fronted units is a great way for consumers to achieve this, as well as low-level floor washing. There is a strong trend for pendants over an island, which can also be used to create an intermediate warmth to the kitchen zone, while brighter lighting illuminates the living area. Zoning – circuiting – the different lighting layers allows for maximum flexibility. TM. Are there any other factors that have affected the way in which lighting is used in the kitchen? SP. Nowadays, dining tables aren’t necessarily just used for intimate evening dining. They can double up as a work space for adults and children alike, so ensuring it is possible to maintain a bright level of light over this surface has become important. This is often achieved by using downlights over the table to achieve a brighter uniform light. Dimmers have become extremely popular, and can be used to soften a bright light over a work space so it can be transformed into an intimate dining area. Decorative wall lights or lamps are also being used to help boost light levels. If a desk is being introduced to a space as a designated work area, it is possible to give it its own task light, locally switched for maximum control. TM. What are the different types of lighting required in a contemporary open-plan kitchen design? SP. Layering of lighting is key to open-plan kitchens. Now it’s possible to separate the kitchen working lights, such as downlights, from the dining table, and keep these separate to the more task-like under-cupboard lighting. A mid-level light source is often used, such as wall lights or lamps for a softer evening glow – again, making sure all lighting circuits are on dimmers makes an open-plan space more versatile, as the mood can be brightened or softened as required. TM. Have you noticed any particular trends emerging in kitchen lighting? SP. The main trend in kitchen lighting has been the introduction of more decorative light fittings. More usually found in living and dining rooms, lamps and pendants that create a softer lighting effect are increasingly being found alongside the more usual task lighting elements found in kitchens. There is a wealth of different styles now available to the consumer, which helps link these items to the overall decorative scheme of the space. There is also an emerging trend for linear LEDs, which can be incorporated into open shelving, set on top of tall/wall units for a boost of light or at low level to create a floor wash effect. The miniature size of these strips helps their integration into joinery, and as a low-maintenance option with very little heat, they are a joy to design with.